Tape hair extensions are becoming more and more popular in the UK with this we have seen a drastic increase in demand on our website as well as in the salons. I had seen some tape hair extensions over the past 4 years but had not seen any products that impressed me. 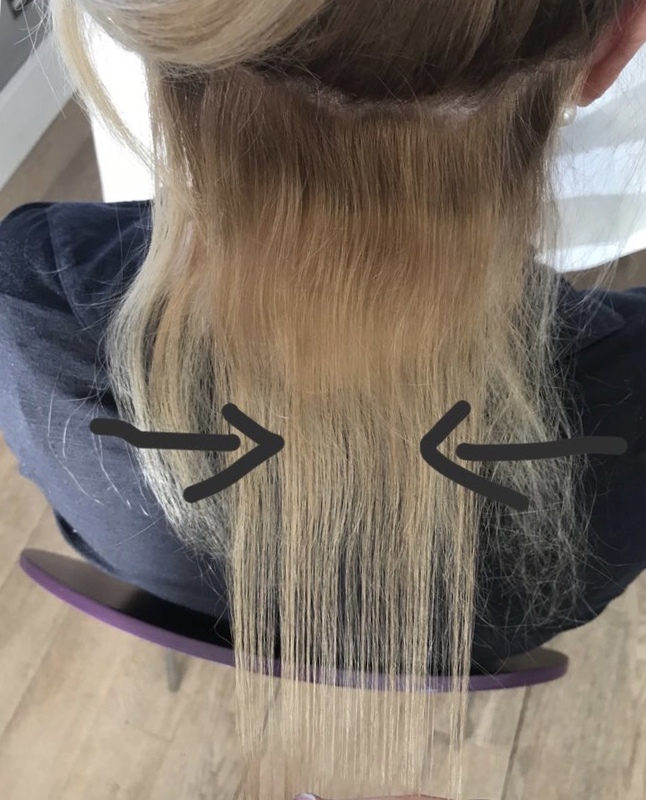 As a working busy hair extensionist I had also seen a lot of damage that had been done to client’s hair with the tape system as the products on the market were not being applied safely. Generally, the quality of the hair and the sticky area to attach to the hair was poor as the products had not been developed enough. They were leaving vast amounts of sticky substance in the hair which was virtually impossible to get out and the hair intern was causing damage on the removal. That was until I was on a business trip to the middle east l I found a tape product that blew me away. I was so impressed with the hair quality I had this product put in my head and I was totally sold. I had not worn any form of extensions for around 5 years and as a hair extensionist as usual we use to have them in, but I knew my hair needed a rest, so I had never ended up putting them back in. When I have this product put in it felt totally flat to my head that the tapes were positioned in such a way that I could put my hair up with ease they were so light I felt like I had nothing in my hair at all. And last but not least the quality of the hair was Russian so it had a beautiful natural wave to it. The real test came about 10 weeks later when they were removed it. It took all of 10 mins to get them out with no sticky residue left on the hair or the use of harsh pliers to get them out as would be when trying to remove single bonds. I then had the hair reapplied and haven’t had it out since. 1.5 years on my natural hair is healthier and thicker than it’s ever been. I have since changed nearly all my regular clients over to the tape system. Not only are they much quicker to apply cutting out lengthy times in the hair dressing chair for the client. They are 100 percent much kinder to the natural hair which has always been my main concern when applying extensions. I want to preserve all my client’s natural hair and also I want them to get their hair in the best possible condition so wearing hair extension’s is a pleasure and not a necessity as they know their natural hair is in the best condition underneath the extensions. I have seen all my client’s natural hair improve from changing from bonds to tapes. Below is a picture of a new client that came to me around 8 months ago she had been having bonds for years at another London salon. I changed her to tapes as you can see my grey line is where we stopped the old bonded system and started the tape system. Look how much thicker the hair is from wearing a good tape product which has been applied correctly.